Dr Michael William Green died on 1 May 2016, after an 18-month struggle with cancer of the throat. Mike leaves behind his loving wife Nicola Elliman, and countless friends and loved ones who are all missing him terribly. Mike’s absence is not only felt at a personal level, his death is also a loss to the profession of psychology teaching and research. Mike leaves behind a wealth of peer reviewed articles, conference papers and presentation, and book chapters. His PhD, performed at the University of Reading from Sept 1987-Sept 1991, was his first serious foray into the pathologies of eating disorders. His aim was to adapt the classic Stroop test of latency in reaction time for incongruence between the sensory colour and the meaning of a colour word into a test that could be used as a diagnostic tool for bulimia or anorexia nervosa. He started with the assumption that the delayed reaction time of an ‘emotional’ Stroop, i.e. one that comprises words that are of particular salience to the person’s condition, was caused by a priming effect, and not the emotions themselves. He extensively publication record started with papers based on this PhD research (Green & McKenna, 1993). Following his PhD he worked at the BBSRC-funded Institute of Food Research, initially at the old Dairy Farm research lab in Shinflied, just outside Reading, and later in its brand new custom built laboratory on the Whiteknights campus of the University of Reading. In the Psychobiology section of the Consumer Sciences department he was able to build on his existing research programme and expand it to include non-pathological eating behaviours such as dieting to lose weight. This led him to his first encounter with the Media for his findings that dieting to lose weight can have a detrimental effect on people’s ability to concentrate on a particular task or react as fast to stimuli as people who are not following a calorie-restricted diet. His personal highlight of this episode was the depiction of his findings by the Guardian cartoonist Steve Bell. When the IFR consolidated its operations in its Norwich lab and the Reading lab was closed, Mike moved to work for Unilever in Colworth. Although he fully submerged himself in his research into the effects of nutrition on the aging process, his heart wasn’t in it, and after a year in industry he was very happy to return to his mainstay in academia at Aston University in Birmingham. In the Psychology department at Aston he once again turned his energies to the puzzle of the human mind under circumstances of nutritional duress. One by one he teased out different factors that could have been causing the change in cognitive functioning in dieters. He found that there was no nutritional effect caused by iron-deficiency and that cognitive impairment is reduced in people who follow a supported dieting programme (Green and Elliman, 2013). 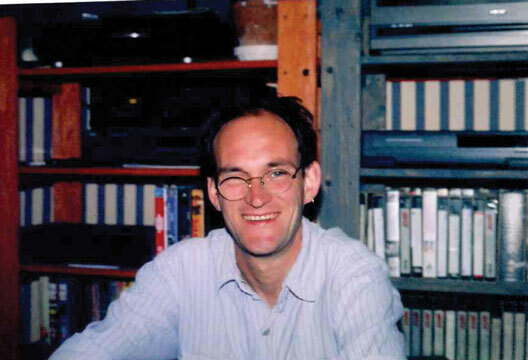 Mike was a frequent collaborator with national and international academics, and with partners throughout the food industry. One of the reasons Mike felt best placed to work in academia was his strong belief in education, and he took great pride in being a good lecturer. He particularly enjoyed those moments when a student who has been grappling with a complex theory or concept reaches the moment of understanding when the different parts come together and make a whole. He was equally patient with the less able students, and never tired of guiding them through their degree. He was particularly fond of supervising final year dissertations, as he was full of ideas for research projects that he would be happy to adapt to the skill level of each individual student. And the students clearly appreciated this too, as there was a cap on the number of students he could supervise and his lectures were often oversubscribed with students sitting on the floor when seating space ran out. Mike made one final career move to the Psychology department at Roehampton University, returning to live in Reading to be nearer Nicky’s family. Unfortunately shortly after arriving there the department shrunk its staff and Mike was made redundant under the last-in-first-out approach. He sorely missed his contact with students, both in large groups and in individual tuition. For a while he carried on working on his undergraduate textbook on nutrition and behaviour, but he never finished this. Not long after leaving Roehampton Mike fell ill with the cancer that eventually claimed his life.